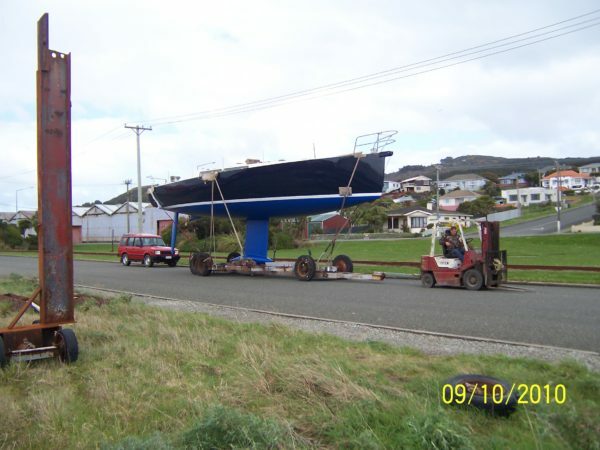 The new yacht is lifted with the expert assistance of two work colleagues who were kind enough to also bring the lifting gear. A trailer is wheeled underneath. 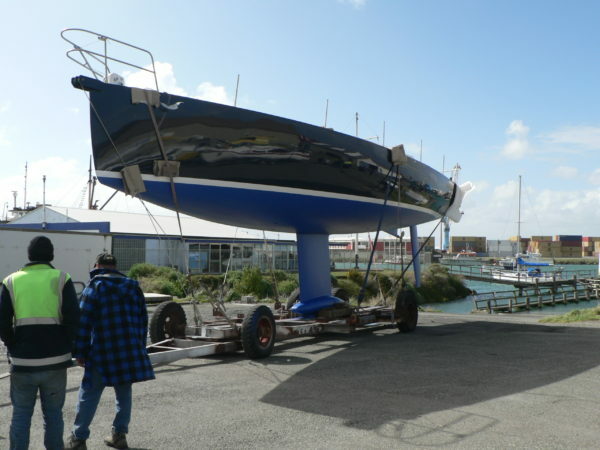 The boat leaves the yard with its new antifouling. Yes, the unusual staying arrangement was extremely effective and stable: supported by physics, not physically supported. A tow over a few hundred metres closes the distance to the water. 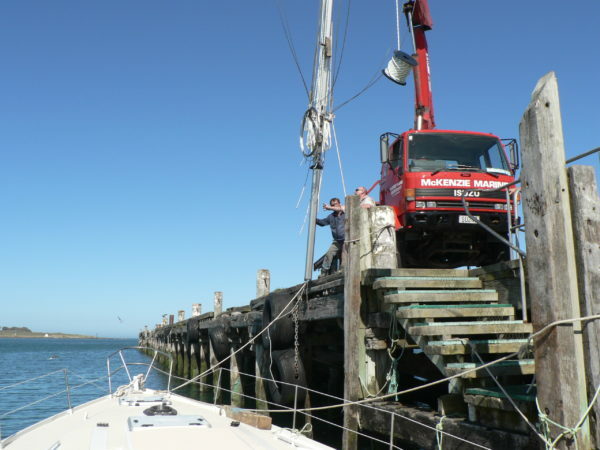 The spring tide is one of the largest of the year: ready to head down the ramp, with a sling tied to the tow bar and a 10-tonne truck to control the descent. 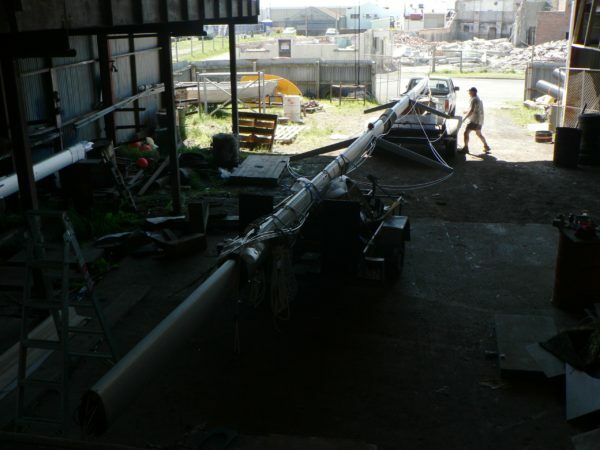 The light hull floats high as expected. No rig or ground tackle or much else on board. 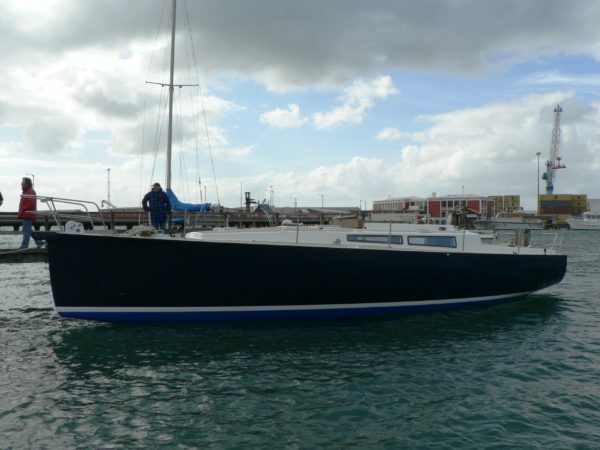 The boat was designed in loaded condition for ocean cruising. 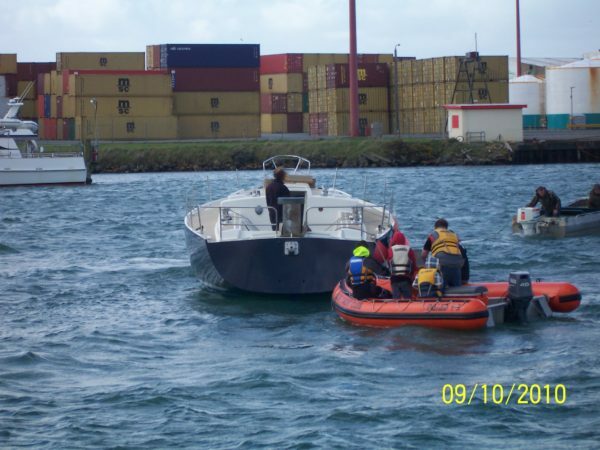 A local fisherman kindly arranged a small boat for a tow to a berth nearby and members of the local yacht club came to stand by. 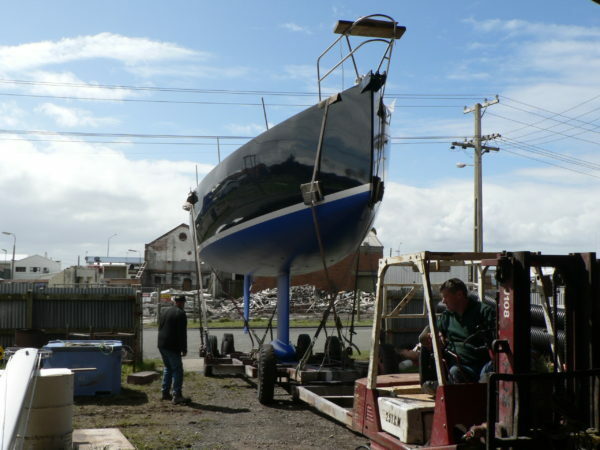 The engine was started a couple of weeks later, once the electrical hook-up was complete. 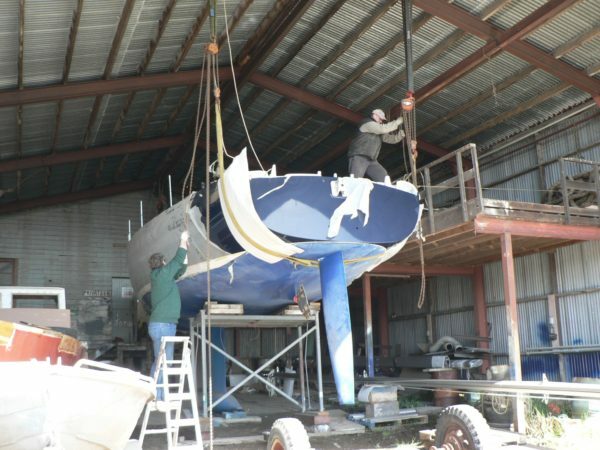 Back in the shed, the rig was assembled and halyards run. 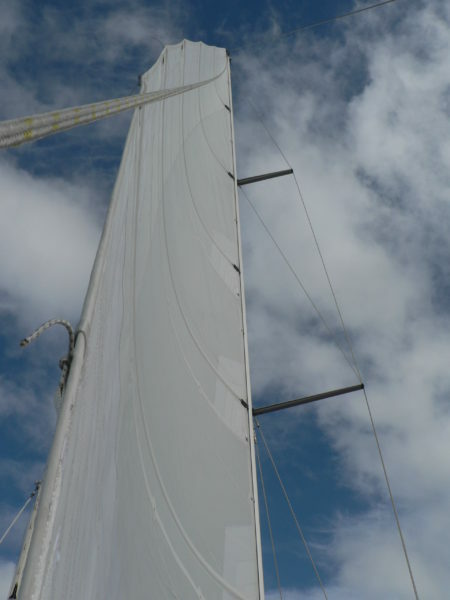 The standing rigging was built and attached to the mast. Swageless fittings were used throughout. 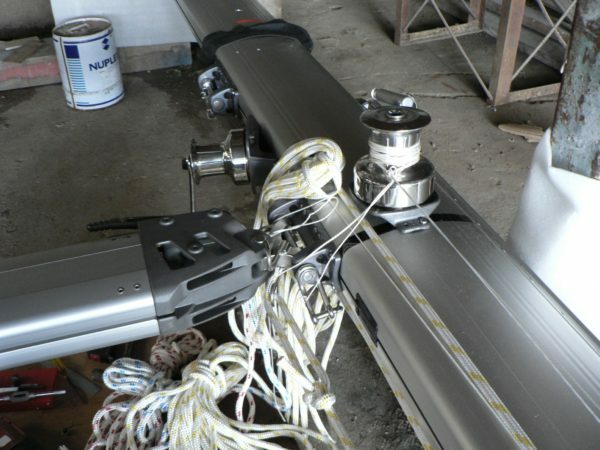 No such thing available as a trailer long enough for a 20-metre rig, but what about two trailers then? Corners were just taken slightly wider than usual. 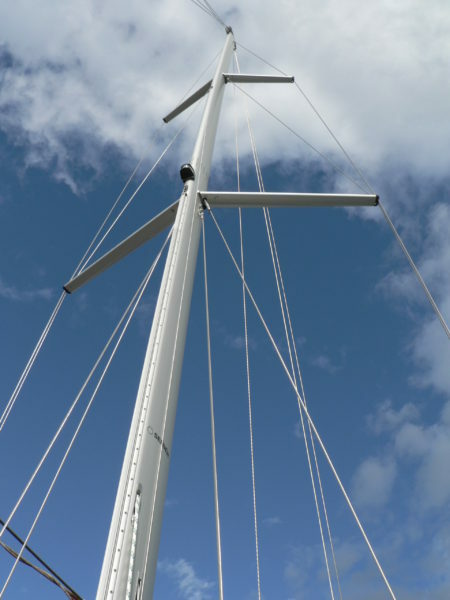 … with the mast attached just above the balancing point. 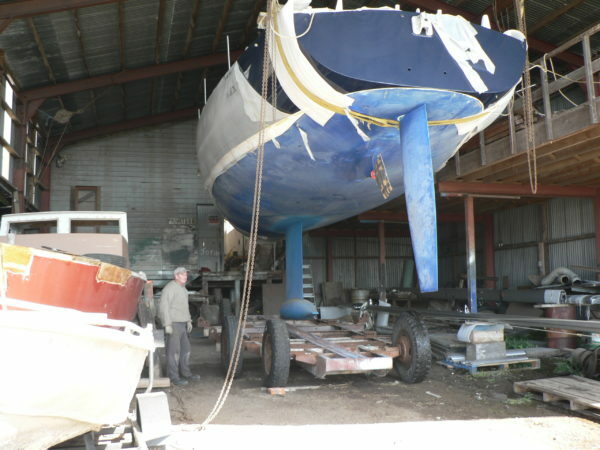 Two days’ work were enough to set the rake, camber and terminate all the shrouds on deck. 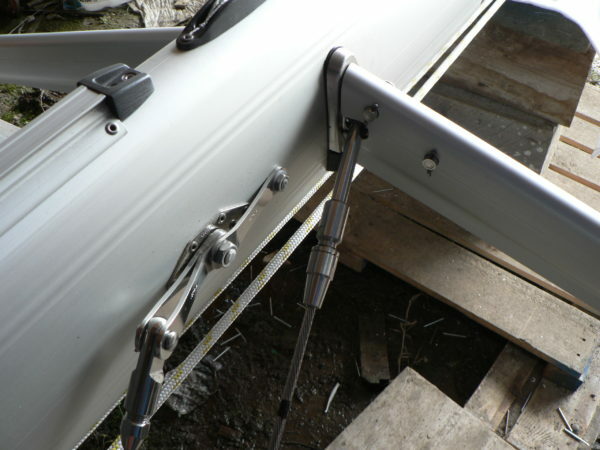 In the meanwhile, the Spectra halyards and deck collar easily held the spar in place. A good weather window is recommended. 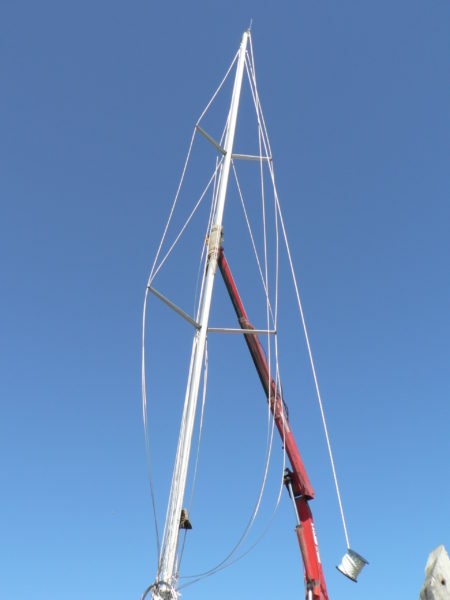 And finally… the new mainsail goes up for the first time at the dock.